Long, luscious eyelashes enhance the youth and beauty of the eye and provide aesthetic symmetry to the face, but did you know they also serve an important protective function for the eye? Eyelashes are the primary way potentially damaging dust motes and debris are kept away from the delicate surface of the eye. Do you have weak, damaged, missing sparse or short lashes? If you have experienced a loss of your lashes through injury, trauma, overuse of eyelash extensions, hair pulling, or you simply want longer thicker more dense living and growing lashes without mascara, an Eyelash Transplant procedure may be for you! To see if you are a candidate for this type of procedure, please fill out a consultation request form to discuss your situation with eyelash transplant pioneer, Dr. Alan J. Bauman. Unlike false lashes or eyelash extensions, eyelash transplantation is a safe, effective way to permanently restore living and growing lashes to your eyelid. In a comfortable walk-in/walk-out out-patient procedure, eyelash transplantation redistributes live hair follicles from the back of the scalp into the eyelid in just a few hours with life-changing results*! NOTE: Transplanted lashes grow LONG and will therefore need to be routinely groomed–trimmed, curled etc. 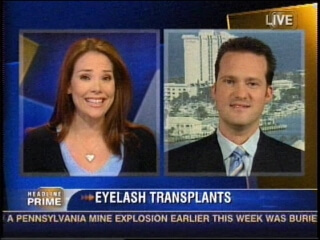 Since 1999, Dr. Bauman’s Eyelash Transplant procedures have been featured on ABC’s Good Morning America, CNN, Access Hollywood, EXTRA!, FOX News and other news programs. He was the only North American faculty member at the first ever International Society of Hair Restoration Surgery Live Regional Workshop on Eyelash Transplantation held in Los Angeles on October 23, 2006. The groundbreaking event was attended by dozens of physicians and medical professionals from around the world and several news organizations while Dr. Bauman lectured and performed live surgery. Demand for eyelash transplants have skyrocketed since this procedure has been proven to be safe and effective when performed by highly skilled, properly trained surgeons who are committed to providing ALL aspects of care during and after eyelash transplant procedures. For some patients, the overuse of eyelash extensions can cause permanent eyelash loss. It is assumed that this eyelash loss is a result of ‘traction alopecia’–similar to the damage to scalp follicles from tight braiding, hair extensions or chronic hair-pulling. For those who choose eyelash extensions, Dr. Bauman always recommends gentle removal and/or replacement of your eyelash extensions by a highly-trained aesthetician or cosmetologist to prevent damage to your eyelashes. Should eyelash damage occur, it might be temporary. After six to twelve months, eyelash growth should ‘rebound’ somewhat if the damage is not severe. If the eyelash damage is permanent, eyelash transplantation can be used to replace lost lashes. If you think you may have lost lashes through damage from eyelash extensions, schedule a in-person or phone consultation with eyelash transplant expert, Dr. Alan Bauman. For more information on the eyelash transplant procedure browse https://www.eyelash-transplant.com. Permanent eyelash loss or “eyelash gap” can occur when eyelash follicles and/or surrounding eyelid skin is damaged or scarred from an injury, accident, burn, surgery or even cancer treatments such as radiation or chemotherapy. “Eyelash gap” is a common side-effect from stye surgery of the eyelid. Often eyelash loss patients complain of dust and debris in their eye causing irritation, as well as a non-symmetrical or uneven look of the eye area. False eyelashes can be difficult and irritating to use as an eyelash replacement option. As long as the eyelid is healthy and functions well, eyelash transplantation can be performed to permanently restore the beauty, form and important function of the eyelashes. See the video below of Dr. Bauman performing eyelash transplantation for eyelash repair of injury to the eyelid area for a car accident survivor. 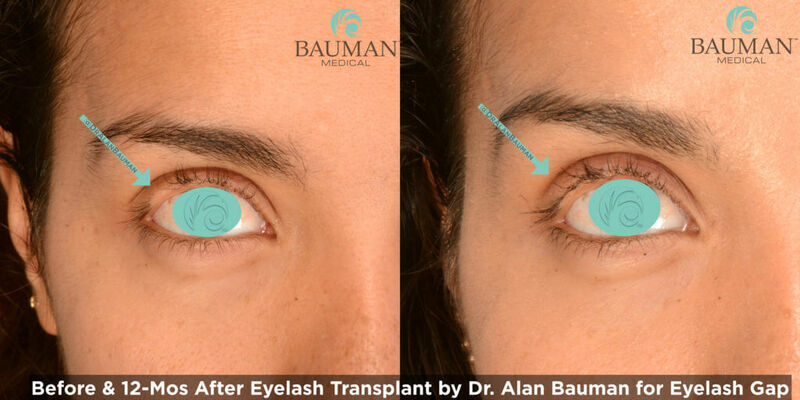 Before and 12 Months After Eyelash Transplantation by Dr. Alan Bauman for “Eyelash Gap” due to eyelid surgery. Eyelash transplantation can also be used to enhance short, thin, spare or otherwise ‘weak’ lashes. One of the main criticisms of eyelash transplantation procedures of ‘years ago’ was that there was poor control over the orientation, direction, curl and position of the implanted lash follicles. Dr. Bauman’s refined approach, as demonstrated at the First Regional Live Surgery Workshop on Eyelash Transplantation, allows precise control over these factors. In Sharon’s photo to the left (with no mascara) you can see the exact position and curl of the implanted lashes. 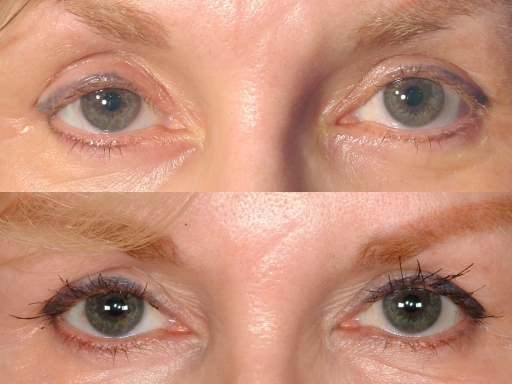 Notice the increase in density precisely at the lash margin as well as the appropriate angle and curl of the transplanted lashes in the ‘After’ photo. This month’s W Magazine‘s beauty editor, Jane Larkworthy, discussed Dr. Bauman’s use of the eyelash transplant procedure to help women achieve thicker, longer and more dense lashes permanently–using their own transplanted hair follicles. Other options, such as ‘eyelash conditioners’ were mentioned. Eyelash transplantation is a relatively quick procedure using local anesthesia, requiring about an hour per eyelid. Minimal discomfort and minor swelling can be expected, but most patients ‘head out to the mall’ after their procedure that same day. Dr. Bauman performs eyelash transplantation on a weekly basis for patients as part of his specialized hair transplant practice. Dr. Bauman pioneered the ‘double-implantation’ technique allowing patients to achieve a higher density of lashes than with older, more traditional techniques. 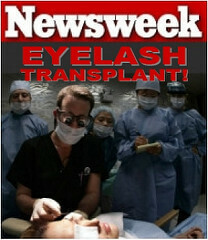 Read more about eyelash transplants, watch videos and see before and after photos at https://www.eyelash-transplant.com. Read the full article on eyelashes by W editor, Jane Larkworthy, called “Lash Course”. For those patients looking for an “above average” eyelash appearance. Eyelash transplantation can be used to permanently enhance the length, density, thickness and beauty of the eye area. Just like eyebrow transplantation, eyelash transplants need to be groomed–that means curling, trimming, maybe tinting or even perming–in order to achieve the ultimate in eyelash beauty. This Bauman eyelash transplant patient, certainly an extreme example of “what is possible” with eyelash transplantation, prefers to keep her transplanted eyelashes extremely long for special occasions. Transplanted lashes do not require Latisse or other intervention, they naturally grow VERY long. In this particular patient, over 100 lashes were implanted per eyelid in a single eyelash transplant session. Eyelash Transplants were featured on NBC’s TODAY SHOW. Today show’s Janice Lieberman follows cancer-survivor–Veronica Garner–before, during and after her eyelash transplant procedure with Dr. Bauman. Licensed Aesthetician, “Lashologist” and “Eyelash Stylist,” Ellie Malmin, was featured in the story as she trimmed, tinted and permed Bauman patient, Erica Lynn’s transplanted lashes. 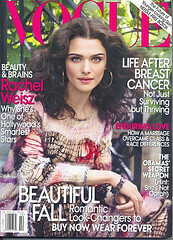 This month’s VOGUE reviewed the “Eyelash Craze” which has women achieving their own longer, thicker, living and growing lashes. In the article called ‘Going Batty,’ Dr. Bauman was interviewed regarding his eyelash transplant procedure and the use of recommended “eyelash conditioners” which help stimulate increased length and density of eyelashes. The family of chemical compounds such as prostamides, prostaglandin analogues and related molecules have been noted to substantially improve eyelash growth when used daily. Eyelash transplantation is used permanently redistribute follicles into the eyelid–which grow so long they need to be trimmed. Dr. Bauman and his staff at Bauman Medical Group offer eyelash trimming, tinting and perming services performed in a safe medical environment. Before and one-year after eyelash transplantation of 20 lashes per upper lid. The transplanted lashes can be trimmed to desired length and curled. This procedure represents a VERY small eyelash transplant compared to our ability to routinely transplant 60-80 lashes per lid. Also note: “After” photos are shown with mascara on the pre-existing and transplanted lashes. Using comfortable, computerized local anesthesia (The Wand®), the procedure is completed in less than two hours in the office/out-patient setting. Hair follicles from the back of the scalp (‘donor area’) are harvested and then implanted into the eyelid. Absorbable stitches are used to seal the donor area, which remains undetectable both during and after the healing process. Usually 24 to 40 or more lashes can be placed per eyelid during a session. The implanted follicles (like the seeds of a plant) will grow and produce hair permanently. The newly growing lashes will possess the same characteristics as scalp hair. The lashes will need to be routinely trimmed and curled. 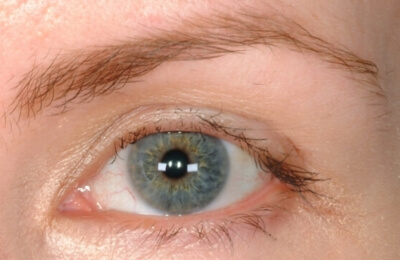 An ‘eyelash perm’ is recommended for those patients with straighter hair. Patients with alopecia totalis or alopecia universalis are NOT candidates for eyelash transplantation. Los Angeles, CA–ABC’s Good Morning America filmed Dr. Bauman demonstrating his unique eyelash transplantation technique in L.A. at the International Society of Hair Restoration Surgery’s first ever Regional Live Surgery Workshop on Eyelash Transplantation. Dr. Bauman was the only surgeon from North America invited by the organizers to lecture and demonstrate cosmetic and reconstructive Eyelash Transplants. Dr. Bauman has developed an advanced eyelash transplantation technique which allows two to three times the amount of eyelashes to be implanted per session. He has also developed a robust preoperative and postoperative regimen of care which dramatically improves patient satisfaction and reduces complications. 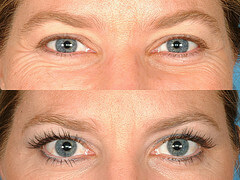 For more information on eyelash transplants, visit www.eyelash-transplant.com. Stay tuned for more information on the cosmetic reconstruction of eyelashes as seen on Good Morning America, CNN and in other news. Check the links below for eyelash transplant videos and info. December 2008 — Allergan announced that it has received FDA-approval to market Latisse(bimatoprost 0.03% solution) for the purposes of eyelash growth. The eyelash-growth properties of bimatoprost, the ingredient in the common glaucoma medication Lumigan®, have been well known and well-described in the scientific literature. When applied topically to the lid margin (at the base of the lashes) nightly, enhanced eyelash density, pigmentation and length can be seen within weeks. Darkening of the pigmentation of the skin of the lid and mild eye irritation are possible, but extremely rare, side effects. Feb 2009: LATISSE is here!! 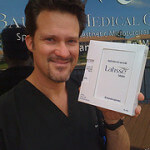 Latisse is now available by prescription from Bauman Medical Group.Dr. Bauman has prescribed a variety of eyelash-growth medictions ‘off-label’ over the years and is excited to see that the FDA has recognized the safety and efficacy of this kind of treatment.Which eyelash growth treatment is right for you? Contact Dr. Bauman for more information on treatments for eyelash hypotrichosis: eyelash loss, eyelash damage, as well as short, thin, weak or sparse lashes. Left: A Bauman patient treated with topical eyelash medication only, before and after 12 weeks. Eyelash Styling and Grooming is now available at Bauman Medical Group. A variety of eyelash-care services, including trimming, perming and tinting are performed by Dr. Bauman’s Eyelash Stylist and “Lashologist,” Ellie Malmin (far right). Ellie is available by appointment only. 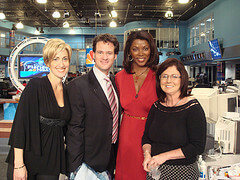 Recently, eyelash transplant patient, Jodi Hussey (far left), had her eyelashes trimmed tinted and permed “live” on-the-air on the South Florida Today Show. Watch the video below. 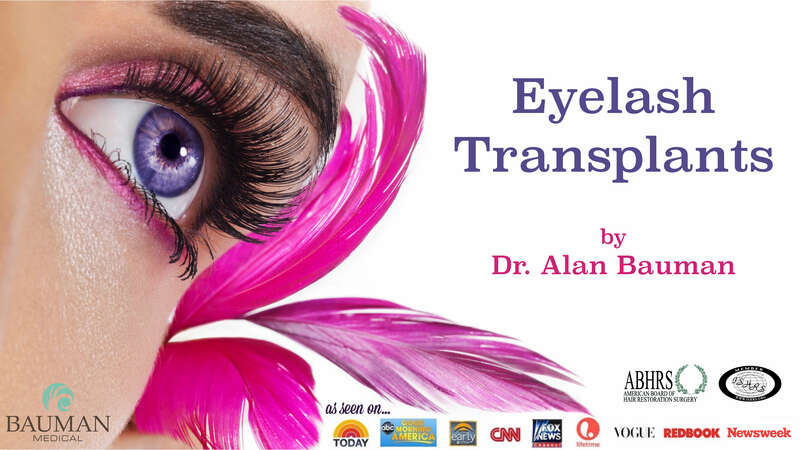 Dr. Bauman’s Eyelash Transplants were recently featured in Revista Plástica & Beleza(Brazil 2009); Implante de cílios o transplante de cílios… Download Plástica & Beleza – O Universo da Cirurgia Plástica e Estética or read the excerpt below…Cílios de longo alcanceSe aquela poderosa máscara para cílios não está fazendo milagres para seu visual, pode ser que sua situação seja uma pouco mais delicada e a indicação seja mesmo o transplante de cílios. Conheça mais dess a técnicaUma breve volta por uma loja de cosméticos mostra o valor que as mulheres dão aos cílios. Basta notar a imensa variedade de marcas e modelos de máscaras para cílios que alongam, dão volume, curvam, colorem… Vale tudo para valorizar o olhar. O problema é que algumas mulheres não conseguem o efeito desejado nem com o mais poderoso dos makes por terem falhas ou ausência de fios na região, cílios curtos ou com pouco volume. A solução nesse caso é o transplante de cílios, uma cirurgia pouco divulgada no Brasil. Isso mesmo, assim como existe o transplante capilar para resolver a calvície, existe também a cirurgia para resolver o problema na região dos olhos. O conceito é o mesmo: retirar fios de uma área para implantar em outra. Dr. Bauman’s eyelash transplants were featured on CBS’s THE EARLY SHOW on Wednesday, August 29th. The Early Show followed eyelash transplant patient, Kim, before and after her eyelash transplant with Dr. Bauman. Bauman patient, eyelash transplant recipient and salon owner, Jodi Hussey, is also interviewed several months after her procedure. This story included a detailed animated explanation of how the procedure is performed. To watch the video click the picture to the left. For a larger version of the CBS Early Show, click here. 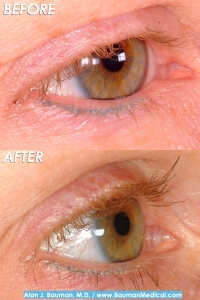 For more info on the eyelash transplant procedure, visit https://www.eyelash-transplant.com. Looking for EYEBROW Transplant Info? EYEBROW Transplant information, click here. FDA-Approved LATISSE for eyelash growth is here! has arrived… and is now available to Bauman patients.Can a topical treatment enhance eyelash growth? The FDA has just given approval to Allergan to market their eyelash growth medication, LATISSE(tm), which can safely and effectively enhance eyelash growth. Synthetic prostamides, prostaglandin analogs, or similar compounds may help some women achieve longer thicker and fuller looking eyelashes. It is our experience that some work better than others. To learn about the potential risks and benefits of these and other eyelash treatments, contact Bauman Medical Group. 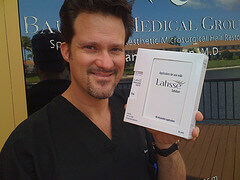 FDA-approved prescription LATISSE(Allergan) is available from Bauman Medical Group. Call +1-561-394-0024 to find out how to receive a medical evaluation of your eyelashes. Dr. Bauman is featured in Charla Krupp’s new book,“How Not To Look Old,” available on Amazon. Charla mentions eyelash loss as a sign of aging and Dr. Bauman’s eyelash transplant procedures as a solution to the problem. At the first ever ISHRS Regional Live Surgery Workshop on Eyelash Transplantation held in Los Angeles California in 2006, Dr. Bauman became the first North American surgeon to formally offer Eyelash Transplant training to his colleagues. Over forty physicians and healthcare professionals were in attendance as Dr. Bauman lectured on, then demonstrated his eyelash transplantation techniques.Since then, Dr. Bauman has continued to lecture on and demonstrate his technqiues to his colleagues at various Live Surgery events, ISHRS Annual Meetings, as well as privately at his facility in Boca Raton, Florida. For information on upcoming eyelash transplant training and other educational opportunities, please email or call Dr. Bauman directly.